A jury has awarded the family of a 76-year-old nursing home resident $114 million for egregious nursing home abuse and neglect. The family’s lawsuit against the nursing home alleged that the staff knew Juanita Jackson was at a high risk for falls but failed to take preventative measures. She fell within two weeks of admission and suffered a closed head trauma and fractured her upper arm, injuries from which she never fully recovered. The family also alleged that Integrated Health Services, the nursing home where Ms. Jackson lived, failed to provide the elder woman adequate care, including allowing her to become malnourished and dehydrated. The verdict may not be all that it’s cracked up to be. According to news accounts, the nursing home quit defending itself in the lawsuit several weeks ago after many years of litigation, and the family was able to get a default judgment. The judge then asked the jury to determine the proper amount of damages. After some deliberation, the jury awarded $14 million in compensatory damages, and $100 million in punitive damages. The nursing home, of course, was not there to defend itself. The family intends to do everything it can to collect on the judgment, and told the TheLedger.com that it was proud of itself for standing up for their mother. The California Department of Public Health has issued fines to two Orange County nursing homes after concluding that negligent nursing care lead to the deaths of two residents. Alamitos West Health Care Center in Los Alamitos was fined $100,000.00, and Huntington Valley Healthcare in Huntington Beach was fined $80,000.00. Investigators found that Alamitos West failed to give an 82-year-old female resident adequate fluid, causing her to suffer dehydration and kidney failure. When the woman was finally transferred to a hospital, her dehydration had caused an altered mental status. The woman died a week later, on Christmas Day. The case against Huntington Valley involved the failure to call 911 as a patient was dying. According to reports, the caregiver thought the resident did not want resuscitation if life saving treatments was needed, but the resident had actually stated in his chart “I Do Want C.P.R.” The resident died in the nursing home. Dehydration in the nursing home can lead to significant complications, including death. If the human body is deprived of necessary fluids, several symptoms may appear, including an increased heart rate, decreased sweating, decreased urination, extreme fatigue, headaches, cramps, and tingling of the limbs. The causes of dehydration are several. The most common is vomiting, diarrhea, malnutrition, or the simple failure to replenish the body with the liquids that are lost from sweating and urinating. Sadly, this is the most common cause of the dehydration in the nursing home. Nursing homes have a legal duty to provide adequate hydration to their residents, and to provide the proper training to their employees to recognize the signs and symptoms of dehydration. The aging process itself will often cause a decrease in appetite, but this is never an excuse for dehydration in a patient (even though it’s an excuse frequently used by nursing homes). 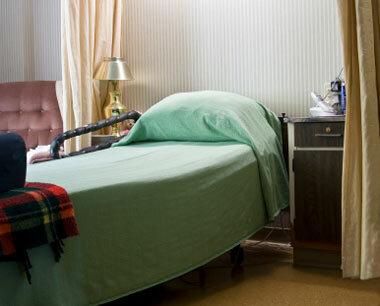 For patients at risk, nursing homes are required to monitor the food intake and urine output of its residents, and keep the medical doctor informed of the resident’s condition. The failure to do this may be a violation of the standard of care.